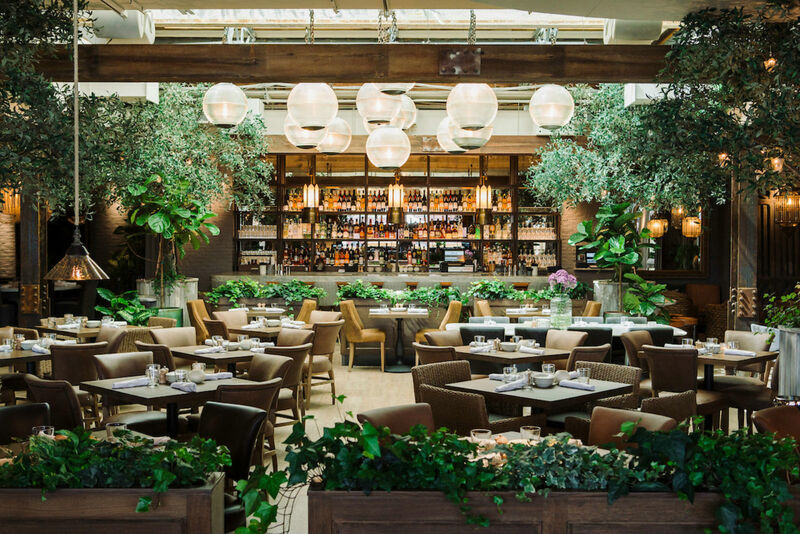 California meets Israeli cuisine at two Top Chef-run restaurants. Influenced by his time living in Israel as a professional volleyball player, still-rangy chef CJ Jacobson brings mezze, kebabs, and one heck of a Jerusalem bagel to Chicago’s buzziest neighborhood. Two years after he opened his first Chicago-area restaurant — the vegetable-focused Ema — Top Chef alum CJ Jacobson has planted a flag in the white-hot West Loop/Fulton Market neighborhood. The newly opened Aba looks over the downtown skyline from its lush, made-for-Instagram roof deck and serves Chicago’s bright young things — at least those savvy enough to score a reservation — crudo, grilled meats, and inventive cocktails, including “groupies,” large-format drinks designed to serve six to eight. With names like Ema and Aba (meaning “mother” and “father” in Hebrew), these restaurants are undoubtedly assumed to be Israeli by some diners, but Jacobson prefers the broader term “Mediterranean” and eschews any claims of authenticity, reminding reviewers that he is a “white guy from Orange County.” Indeed, one can spot the influence of Jacobson’s Californian upbringing as much as his time living in Turkey and Israel in dishes such as bone marrow with grilled scallions and anchovy salsa or the shaved iceberg and arugula salad with graviera (a Greek cheese), Marcona almond and dates: California meets Mediterranean all the way. 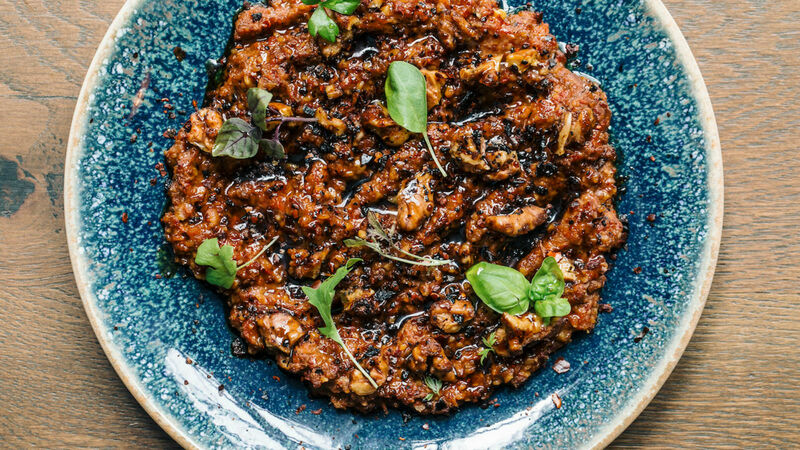 But for Chicagoans craving refined Israeli fare — something this great restaurant town inexplicably lacks — Aba may be their best bet. It is easy to put together a delightful and varied meal at Aba that is not so different from what you might eat in Tel Aviv. Start by ordering one of the many hummus options and either the labneh or muhummara with the fluffy Jerusalem bagel. Move on to the skirt steak shawarma, the lamb and beef kefta, or the grilled salmon with zhoug. And for dessert? There’s a wonderful little date bar — that’s actually its name: A Wonderful Little Date Bar — and Seed & Mill halva with Medjool dates and candied nuts. Israeli food cravings satisfied! I recently had the chance to chat with Chef CJ Jacobson about the influences behind Aba and Ema. You spent time in Israel as a professional volleyball player. How did the time in Israel influence you as a chef? I remember the first time I tried foie gras. Before coming to Israel, I had never tasted it before. They served it on a kebab and it was just one of those culinary moments for me; I remember thinking, I can’t believe I’ve never had this flavor before. It’s like seeing a new color! Ema and Aba are both described as Mediterranean restaurants. What other countries’ cuisines besides Israel are strongly represented? How did you develop the menu for Ema and later Aba? Aside from Israel, there are definitely influences from Italy, Turkey, Greece, Egypt, and Morocco. When we were trying to structure what [the] mezze would be for both restaurants, we decided that it needed to be approachable and intriguing. People know what tapas are, and although mezze is similar, it’s more of a feast with multiple plates on the table. What are some of the dishes at Ema and Aba that you would consider Israeli? Why do you think Israeli food has become so popular in the States? The ones that come to mind at Aba are crispy short rib hummus, hummus with lamb ragu, and the everything Jerusalem bagel. I think [Israeli food is] popular because of the free flow of ideas that the cuisine provides. It’s also health conscious, which is so important to people. You don’t have to go on an intense diet, you just have to eat well! Israeli food also has a lot of fresh ingredients and you don’t have to manipulate them too much. What do you hope diners take away from their experiences at your restaurants? I hope they feel good after they eat at my restaurants, thinking every dish they had was clean, vibrant, and bright. But don't expect hummus, pita or shawarma. 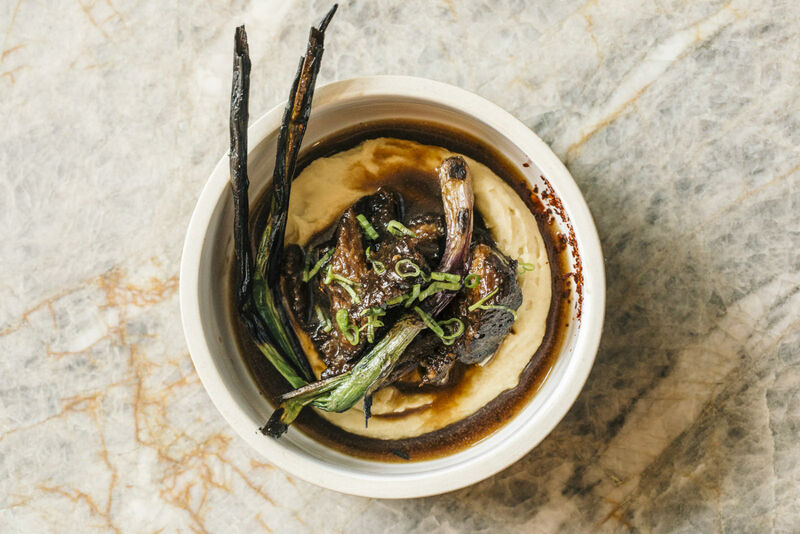 Is Kubbeh the Newest Trendy Israeli Food? An Iraqi classic is hitting restaurants across the U.S.